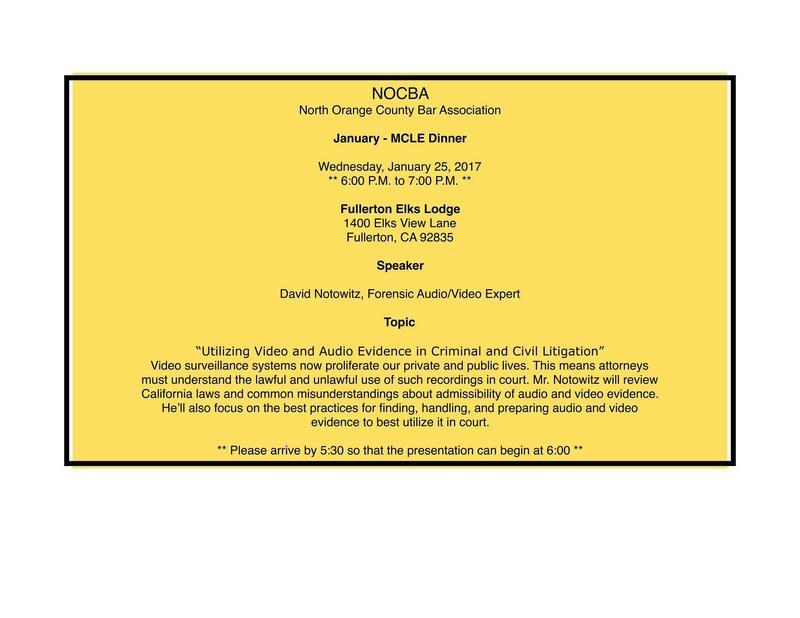 We’re looking forward to teaching attorneys about the newest techniques in video, audio, and still image forensics. All examples and material taken from our actual cases. I expect a great crowd tomorrow, so join us!